Author photo by Giovanni Giovannetti. 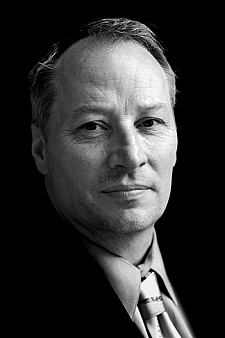 Joe R. Lansdale is an American writer of crime, horror, and suspense who also wrote some westerns and action novels under the pen names Ray Slater and Jack Buchanan. A man of diverse talents, Lansdale has written comics for several houses including Dark Horse and DC. He has done quite a bit of work with the Batman character, with stories published in Martin Greenberg’s Batman anthologies, plus a Batman novel, and several scripts for Warner Brothers’ Batman: The Animated Series. He has over 45 published novels, 30 short story collections, and won a massive shelf full of awards that range from multiple Stokers, to the British Fantasy Award, an Edgar Award, and others for literature and lifetime achievement. His Hap and Leonard series of crime novels is currently being adapted for television, and has been reissued in paperback by Vintage/Black Lizard, which is, in many regards, the end-all be-all of contemporary crime publishers. Several other works have been adapted for the screen, not the least of which was Bubba Ho-Tep, and a Masters of Horror adaptation of his short story “Incident On and Off a Mountain Road.” There are some other projects in the works, too, including a movie adaptation of his Edgar Award-winning novel The Bottoms. Lansdale’s first published novel was Act of Love, which appeared in 1980 from Zebra press during their “fruit on a knife” era of cover art. He hit his stride several years later with the publication of his crime/horror novel The Nightrunners, followed up by The Drive-In and Cold In July. His first short story collection, By Bizarre Hands, is a modern classic, says me, and I don’t expect anyone who’s read it to disagree. His first Hap and Leonard novel, Savage Season, appeared in 1990. On a personal note, I have had the opportunity to meet Mr. Lansdale on a couple of occasions; once in 2001 when Captains Outrageous was released, and again in 2014, when my wife and the kids and I were able to chat with him briefly at Robert E. Howard Days after a barbecue on Caddo Peak outside Cross Plains, Texas. On both occasions, he was approachable and happy to talk everything from fiction to everyday life. When I saw him in 2001, he was talking to a large group of folks – the event was put on by some group of mystery writers in Ft. Worth. He talked about his early career, and how he got his start. One story he told that day stuck with me; after he’d decided to become a professional writer, he wrote a story a day for 90 days and sent them out to every magazine whose address he could get his hands on – in essence breaking just about every rule right out of the gate. He openly admitted that not many of those stories were probably any good, but they certainly got him started down the road to learning how to write, and some of them even got published. There’s lots to say about Lansdale, and frankly none of it is said better anywhere other than the bio page on his website, which is here. I’ll just wrap up by adding that Lansdale is a teacher at his own Shen Chuan martial arts school in his home of Nacogdoches, Texas, a member of the International Martial Arts Hall of Fame, and writer in residence at Stephen F. Austin University. To browse the list of Lansdale titles currently available in print and eBook editions, click here.